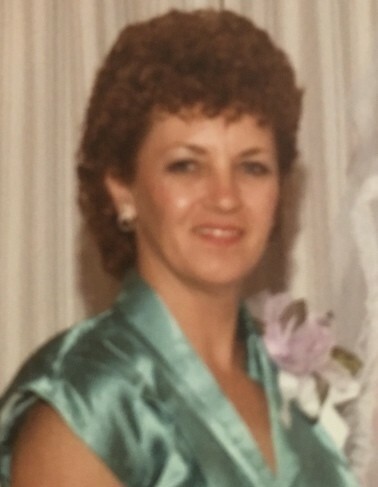 Charmayne “Charm” Pigg, 79, of Mexico, Indiana, departed this life peacefully on 01/12/19 at Miller’s Merry Manor in Peru. She was the beloved wife for 39 years of James Pigg, who preceded her in death in 1994. She had been a resident of Mexico for over fifty years. An avid sewer, she wasn’t happy if she wasn’t busy creating something with her hands. She was passionate about the color purple. She both owned and operated Charmayne’s Fabrics in Peru in the 1980s. Many remember that building she had painted purple on the corner of Broadway across from the Post Office. She was fortunate to have traveled to many countries and visited forty-eight states with her husband on a motorcycle. She endlessly volunteered as a Girl-Scout leader and was involved with 4-H leadership for more than a decade. She leaves behind her family to carry her memories to future generations. She was born in Illinois, the daughter of Vern and Ruth, and she had one sister, Melody, who preceded her in death. She is survived by her children, Cricket (Mike) Brown, Allen Pigg and companion Cheri, Rebecca, Jeff Pigg, Jody (Tom), and Karl Pigg and fiancé Carla, grandchildren, Jared, Amber, Chad, Shawn, Brandy, Aaron, Jacob, Jacquelyn, Jordan, and Jeron; great-grandchildren, Reese, Jack, Charles, Edmund, Kamden, Beckam, Austin, Dylan, Gavin, Aubrey, Jonah, and Lyn; step-grandchildren, Trinity, Shane, Adam, and Andrew; step great-grandchildren, Austin, Adrianna, Faith, Chance, Quentin, Lorelei, and Eli; one sister-in-law, Sue Mattingly; and former daughter-in-law, Debbie. The family would like to express their gratitude toward the staff of Miller’s Merry Manor for their compassion and care of their mother during her end of life journey. There are no services being planned. McClain Funeral Home, Denver, Indiana, has been entrusted with arrangements. The online guestbook can be signed at www.mcclainfh.com.